With discussions and speculation about what features the new Treo 800w will have, the convoluted and very confusing issue of aGPS versus GPS naturally arises and which, if either, the 800w will include. So what is aGPS? How does it differ from real GPS if at all? We'll fill you in on the full skinny -- which sadly can be anything from "just e911" to "Better than standard GPS." Read on to learn what all of these terms actually mean and what it means for Windows Mobile users in general as this technology spans CDMA and GSM across the U.S on every device. 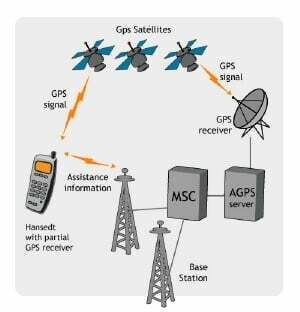 Okay, first let's do the basic definitions: aGPS = assisted global positioning system, while just regular GPS is non-assisted. So who's assisting and why does it matter? When you use a GPS system and you turn it on, it needs to find orbit and clock data for the relevant satellites, this in turn results in what is called TTFF, or Time To First Fix how long before you get your location pinpointed. This initial TTFF is often called a cold start and on SiRF III systems (the latest GPS systems available), it can take anywhere from 30 seconds to a couple of minutes to acquire a signal. That time is dependent on your location, amount of interference and horizon information: open fields are faster than canyons or urban environments where buildings can interfere with the satellite-receiver line of site. A: To meet the defined industry standards, a precision location fix requires a minimum of three GPS measurements. The term "Assisted" refers to how Sprint network resources are used to provide a more robust measurement when only two satellites are visible. This story of aGPS so far seems fairly reasonable and straightforward, but alas it is not. See aGPS is not some monolithic, written-in-stone-standard. In fact, Qualcomm, who makes the most popular aGPS chips (called GPSOne) has four different possible configurations for aGPS. How aGPS is actually implemented on the device appears to be up to the device OEM/cellular carriers. Standalone - Your handset has no connection to the network, and uses only the GPS satellite signals it can currently receive to try and establish a location. MS Based - Your handset is connected to the network, and uses the GPS signals + a location signal from the network. MS Assisted - Your handset is connected to the network, uses GPS signals + a location signal then relays its 'fix' to the server, which then uses the signal strength from your phone to the network towers to further plot your position. You can still maintain voice communication in this scenario, but not 'Internet/Network service' ie Web Browser, IM, streaming TV etc..
MS Assisted/Hybrid - Same as above, but network functionality remains. Normally only in areas with exceptional coverage. Standalone mode is important. This means you do not need the carrier network at all to use GPS and usually you can install any GPS mapping software to boot. This is how the HTC Tilt and modern BlackBerries work and the Sprint Q9c (a review of which will be posted on WMExperts next week). Here there is virtually no difference between a standalone SiRFIII GPS system and a standalone (aka autonomous). The fact that the Sprint Q9c operates in standalone should be a sign of how Sprint plans to adopt aGPS systems in their Windows Mobile lineup (read here and here regarding possible updates for GPS for the Mogul and Touch). Interestingly, someone came up with a hack to enable the assistance servers for the Q9c to give all the benefits of a true aGPS system. 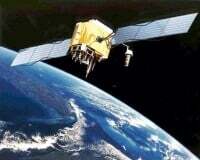 Q Does GPS work internationally? A No, the GPS chipset on the 8830 is disabled when the device is in GSM/GPRS mode due to Qualcomm requirement. Now for the other shoe to drop: the carriers. Every modern cell phone has an aGPS chip on it because of the enhanced 911 requirement, which is also why you don't have many phones with a separate SiRFIII chip on board: it is redundant and expensive. But on Sprint, Verizon and some other carriers like AT&T they have devices with aGPS on board that is not accessible to the end-user for any purpose except for e911 (like the ppc-6700 or the Treo 700wx). Now why this is the case is a matter of debate and a lot of speculation, which ranges from the carriers have purposefully disabled this feature to the APIs were not ready (API= Application Programming Interface) or maybe even a combination. Some have also suggested that these devices need an internal antenna plexed to the chip in order to gain a satellite signal, although since cheap flip phones on Sprint can do aGPS, this remains controversial. Regardless, the fact that simple flip phones could do aGPS for mapping and $500 WM phones cannot, rubbed many in the mobile community the wrong way. That last option, for whatever reason, is currently the most common but it at least appears that the carriers (except for maybe Verizon who is truly draconian) are moving towards the more open system. It is locked down (e.g. hidden COM ports)? Can it use assistance servers when < 3 satellites are available? Having answers to those will allow you to better gauge what GPS or aGPS really means.